We offer nationwide voice and data cabling services. Our customer base ranges from small businesses, home workers, to UK blue chip companies needing a reliable and professional cabling partner. Cabling infrastructure is the most important factor to consider for performance and reliability yet the lowest cost portion of your network. Installing the correct structured cabling system is essential to achieving optimum performance from your network equipment, telephone and computer systems. 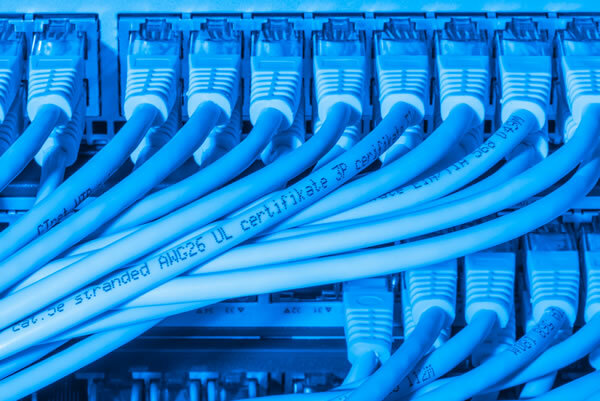 Our technicians are fully qualified to install the latest copper and fibre optic data and voice cabling systems (such as Cat 5e, Cat 6, 6a and 7a). We fully install and test systems and components and offer 25 year manufacturers warranties. We are a one-stop solution for all your networking needs. Voice and data cabling, structure network solutions, Cat 5, Cat 6, 6a and Cat 7a.